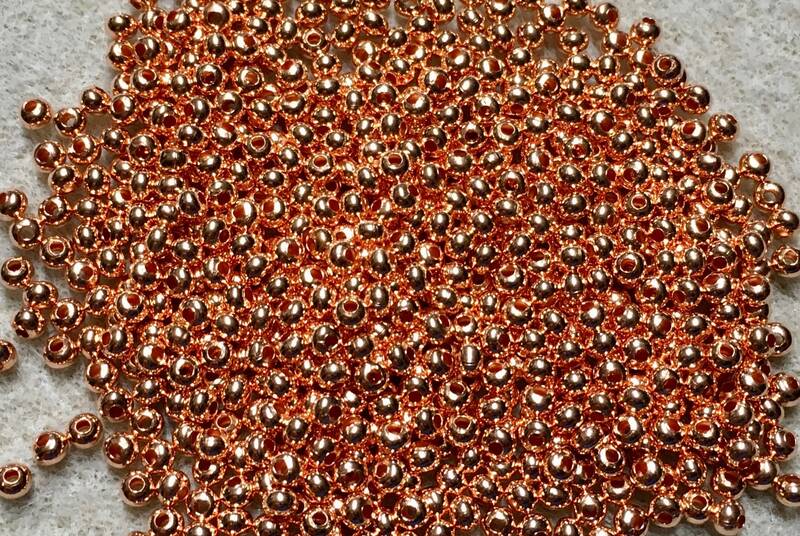 Copper Plated Brass size 8/0 seed beads - 6 inch tube, approx. 1000 beads, 56 grams. These beads are made with a solid brass base and plated with a durable finish. They are more round than traditional rocaille seed beads, and even though they have a seam, it is nearly invisible. Made in the USA; lead and nickel free.